You watch us in #Florida on TV for #HEAT #Magic #TBLightning #FlaPanthers #Marlins & #Rays games! Follow us on Twitter for exclusive video from our broadcasts. Jalen Beeks delivers 7 strikeouts in 4 2/3 shutout innings in @RaysBaseball's 5-2 win over Royals. Jalen Beeks on his performance today, the defense behind him, and the improvement of his changeup. Mike Zunino talks the key to his consistency, the bottom of @RaysBaseball's lineup and Emilio Pagan's arm.
.@RayBaseball closer Emilio Pagan discusses his 2nd consecutive save and what has been working for him.
.@RaysBaseball manager Kevin Cash reflects on Jalen Beeks performance, Emilio Pagan’s 2nd consecutive save, and the production of Mike Zunino. "As the series went on, they started playing much better. They deserved to win the series." -@NikolaVucevic on the #BlueAndWhiteIgnite vs. #WeTheNorth series after wrapping up a career year with the @OrlandoMagic. 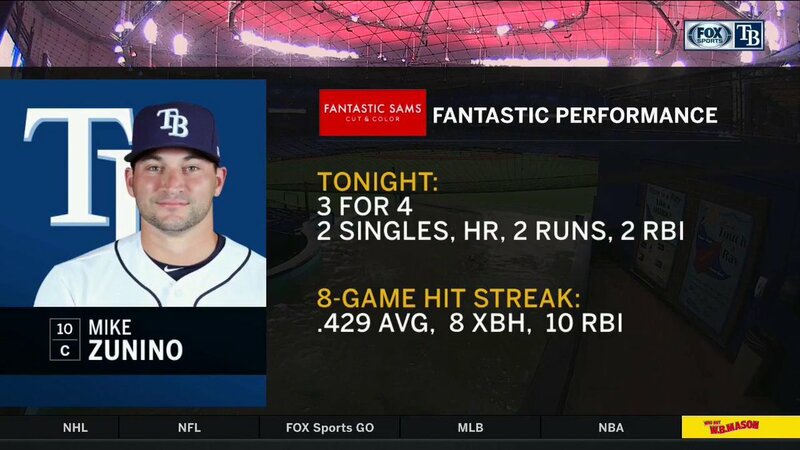 Checkout the night @Raysbaseball catcher @Mike_Zunino had at the plate going 3 for 4!
. @JoeyWendle reflects on his first hit and RBI of the year, his return from injury, and how crucial the @RaysBaseball fast starts are for the club.
.@T_DotFlight31 says he's disappointed they couldn't bring the series back to Orlando but takes pride in helping @OrlandoMagicthe get back to the playoff#BlueAndWhiteIgnites#NBAPlayoffs. "No doubt we'll be back." -@Double0AG on the @OrlandoMagic's first playoff series since 2012. The @OrlandoMagic secure their first playoff berth since 2012.